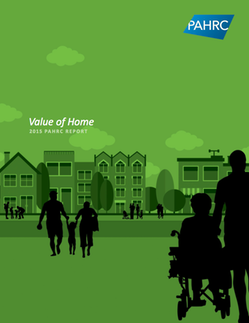 Value of Home – 2015 PAHRC Report concludes that housing assistance can provide struggling families with the boost they need to achieve housing stability and economic advancement. Housing affordability is a major hurdle to stability and quality of life, and continues to be a growing problem for more Americans as the supply of affordable housing dwindles and the number of low-income families grows. Currently, housing assistance is targeted toward those that might be more vulnerable to the effects of poverty than average low-income households if unassisted. Assisted families are significantly more likely to include elderly adults, disabled individuals, single parents, or children under 18 than similar-income families who are not assisted. The report finds that households receiving rental assistance have greater stability, are less likely to experience homelessness, and live in higher quality units less likely to pose health and safety risks than unassisted low-income renters.